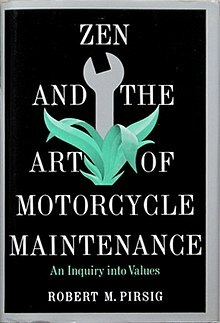 Today is the birthday of Robert M. Pirsig, who received 121 rejections for his novel Zen and the Art of Motorcycle Maintenance. Pirsig persevered. The book he wrote in 1968 about a motorcycle trip that he and his son took from Minnesota to San Francisco was finally published in 1974. Not only was the book published, it achieved cult status, selling more than five million copies. Pirsig is not the only author to experience rejection. L. Frank Baum, author of The Wonderful Wizard of Oz, received so many rejection letters that he kept a journal called a “Record of Failure.” J.K. Rowling received 14 rejections for her first Harry Potter book, and Stephen King received more than 30 rejections for his first novel Carrie. In fact, King almost gave up on Carrie. Discouraged with his lack of progress, he threw the manuscript in the garbage. His wife retrieved it, however, and told him to keep writing. Sometimes even the best writers need the encouragement of others. 1- Temple, Emily. The Most Rejected Books of All-Time. Literary Hub. 22 Dec. 2017. https://lithub.com/the-most-rejected-books-of-all-time/. Today is the anniversary of a short letter that became the opening salvo in a chain of events that changed television history. The letter, dated August 31, 1988, was sent to NBC President Brandon Tartikoff by George Shapiro, agent for comedian Jerry Seinfeld. This brief letter of recommendation led to a meeting between Seinfeld and NBC executives, and an eventual pilot called The Seinfeld Chronicles. That pilot then became one of television’s most successful sitcoms Seinfeld running from 1990 to 1998. With the popularity and longevity of Seinfeld, you might think that success was assured for Jerry Seinfeld, but few people know that he was dropped from an earlier sitcom Benson in 1980 after appearing in three episodes (1). Looking back at the text of Shapiro’s letter — only three sentences long — it’s hard to believe it was the spark that set off a powder keg of comedy that dominated American TV ratings from nearly ten years. Unlike an email, a short letter is likely to get the attention of your audience. If you want something done or you want an answer to a question, a short letter is a great way to guarantee a response. However, unlike the sitcom Seinfeld you can’t write a letter about nothing; you need a specific subject and purpose for your letter. What is something that you would recommend right now, something that is overlooked or underappreciated? Just as George Shapiro wrote a letter of recommendation for Jerry Seinfeld, your job is to write a short letter of recommendation. Your letter, however, should not recommend a person, rather it should recommend an object or an experience. This idea comes from a weekly feature of The New York Times Magazine called “Letter of Recommendation,” where various writers recommend an object or experience that has been overlooked or underappreciated. Past topics featured have been: egg shakers, summer Fridays, The Oxford English Dictionary, Skiing, Fleetwood Mac’s Tusk, and alternative search engines. 1– Jerry Seinfeld Biography. Biography.com. Today is the anniversary of the debut of The Late Show with David Letterman, which premiered on CBS on August 30, 1993, and ended on May 20, 2015. Letterman had previously spent eleven years as the host of Late Night with David Letterman, but after he was passed over as the host of The Tonight Show when Johnny Carson retired, he signed a multi-million dollar deal to move to CBS. This put him in direct competition with Jay Leno, who took over for Johnny on The Tonight Show. Many aspects of Letterman’s show followed the basic pattern of the late night talk show genre, established and perfected by Johnny Carson. Letterman added a few new wrinkles of his own that became staples of his show and focus points for his fans. One of Letterman’s trademarks was “found comedy” — people, places, and things found on the streets of the city that became the subject of Letterman’s ironic wit. These consist of actual items found in the newspaper, viewer mail, “stupid pet and human tricks” performed on the show, esoteric videos, and person-on-the-street interviews (1). Letterman’s best-known feature is one that is originally “found” in the Old Testament, a list of ten — sometimes called a “Decalogue.” This list of ten is best known as The Ten Commandments. The Book of Exodus records Moses bringing the commandments, which are carved on two stone tablets, down from Mount Sinai and delivering them to the people of Israel. Of course, Letterman’s Top Ten lists are meant not to deliver the law but to deliver laughs. Based on a topic from current events, each list counts down ten hilariously warped responses. What would be the topic of your Top Ten list? First, brainstorm some titles of lists, such as Top Ten Reasons . . . , Top Ten Things . . ., Top Ten Ways . . . Then, when you find a title you like, complete your 10 items. Today marks the anniversary of the DVD release of the film Akeelah and the Bee. 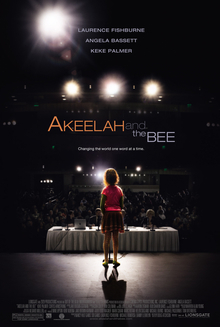 This 2006 film is a drama about 11 year-old Akeelah Anderson (played by Keke Palmer) who overcomes personal struggles to compete in the Scripps National Spelling Bee. Directed by Doug Atchison, the film stars Laurence Fishburne as Dr. Larabee, an English professor who coaches Akeelah. The film is an offshoot of the 1999 Oscar-nominated documentary and surprise hit Spellbound, which profiled a number of the competitors in the National Spelling Bee. After the success of Spellbound, the Scripps National Spelling Bee was broadcast on network television for the first time in May 2005. The growing popularity of spelling has even entered the adult world with spelling competitions in bars around the country and a senior national spelling bee sponsored by the AARP. demarche: 2000 – a move or step or maneuver in political or diplomatic affairs. succedaneum: 2001 – (medicine) something that can be used as a substitute (especially any medicine that may be taken in place of another. prospicience: 2002 – prevision: seeing ahead; knowing in advance; foreseeing. pococurante: 2003 – Indifferent; apathetic. autochthonous: 2004 – of rocks, deposits, etc. ; found where they and their constituents were formed. appoggiatura: 2005 – grace note: an embellishing note usually written in smaller size. (1). 1 – Simon, Johnny. The Champions and Winning Words from the Last 20 Years of Spelling Bees. Quartz.com. 1 June 2018. https://qz.com/1294814/the-2018-spelling-bee-champion-winning-word-and-winners-from-past-20-years/. Today is the anniversary of the 1963 March on Washington where Martin Luther King, Jr. delivered his unforgettable I Have a Dream speech to a crowd of roughly 250,000 gathered at the Lincoln Memorial. Early in his speech, King invokes Lincoln and the unfulfilled promise of the Emancipation Proclamation. King cites two other vital American documents, the Constitution and the Declaration of Independence. Using the metaphor of a bad check, King argued that the United States would not be a truly free nation until it fulfilled these promissory notes for all of its citizens, ending segregation, “withering injustice,” and the persecution of black Americans. An ordained Baptist minister and a doctor of theology, King knew how to craft a sermon and how to deliver a speech. His choice of nonviolent protest meant that his words and his rhetoric would determine the success or failure of his civil rights mission. King was up to the task. There is probably no more telling example of the power of words to persuade, motivate, and change the course of history than the speech King delivered on August 28, 1963. Certain words echo throughout his speech. Unlike redundancy, this repetition is intentional. These words ring like a bell, repeatedly reminding the listener of key themes. In the I Have a Dream speech, the words justice and dream both ring out eleven times. But one word is repeated far more than any other; the word freedom tolls 20 times. In King’s dream there is no crack in the Liberty Bell; instead, it rings out loudly and clearly, a triumphant declaration that America has finally lived up to its potential. Let freedom ring . . . (1). Walking is underrated. It benefits the body, the mind, and the pocketbook. If everyone in the U.S. were to walk briskly for just thirty minutes per day, we would cut the incidences of chronic diseases dramatically. Walking reduces the risk of heart disease, the risk of diabetes, the risk of arthritis, and the risk of cancer. It’s also good for the mind since studies show that walking reduces the likelihood of clinical depression. Smart seniors know the psychological value of staying active, breathing fresh air, and saving their hard-earned dollars by paying less for gas. Instead of venerating our motor vehicle obsessed society, we should celebrate citizens who stroll along the sidewalks of suburbia. More walkers mean less traffic, less pollution, and less wasted gas money. With so many potential positives, no one should view walking as a pain anymore. 1-The Martin Luther King, Jr. Research and Education Institute. Stanford University. I Have a Dream Address. 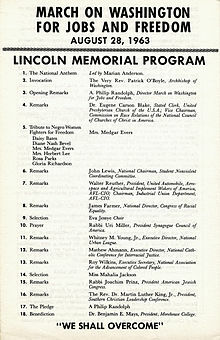 https://kinginstitute.stanford.edu/king-papers/documents/i-have-dream-address-delivered-march-washington-jobs-and-freedom. On this day in 1955, the first edition of the Guinness Book of World Records was published in the United Kingdom. The idea for the book began on November 10, 1951, when Sir Hugh Beaver, Chairman of the Guinness Brewery, was bird hunting in Ireland. After missing a shot at a golden plover, Beaver wondered if the plover was the fastest game bird in Europe. Sir Hugh was unable to get his answer, however, because he could not find a reference book that answered his question. In 1954, Sir Hugh commissioned twin brothers Norris and Ross McWhirter to make his idea a reality. Today the Guinness World Records reference book is published annually in 20 different languages in over 100 countries. In fact, the book holds a world record of its own, being the best-selling copyrighted book of all time (1). The Guinness Book of World Records could not have been written without superlative adjectives. When using adjectives to make comparisons, think of three forms: positive adjectives, comparative adjectives, and superlative adjectives. 1-Cavendish, Richard. Publication of the Guinness Book of World Records. History Today.com 8 Aug. 2005. http://www.historytoday.com/richard-cavendish/publication-guinness-book-world-records. On this day in 1873, the first public school kindergarten in the United States was established by the St. Louis, Missouri, board of education. The word kindergarten can be traced back to Germany, where Friedrick Froebel opened a preschool in 1840. Froebel invented the term Kinder-Garten (‘children’s garden’) to describe the experience of cultivating young minds through creativity and play (1). Some say that we learn everything we need to know in kindergarten, but there is certainly one lesson that is vital to every kindergartner (See October 30: All I Really Need to Know I Learned From Day). In fact, instead of kindergartners, we might call these children abecedarians. An abecedarian is a ‘student of the alphabet.’ The word comes from the letters A B C D.
After we have mastered the ABCs and learned to read, we take the alphabet for granted. What we don’t realize, however, is how fundamental it is to our literacy. We also sometimes forget that the alphabet, reading, and writing are all human inventions. We don’t know who the inventor was, but we do know that around 2000 BC the idea of using letters instead of pictures to represent sounds and words began to take root. As a result, communication in writing became much more efficient and easier to learn. Instead of learning hundreds of symbols, the student now needs only learn fewer than thirty letters. Today kindergartners, or abecedarians, who learn the 26 letters of the alphabet have a foundation to begin mastering the language for reading and writing. The word alphabet is from the first two letters of the Greek alphabet: Alpha and Beta. The Greeks didn’t invent the alphabet, but they did perfect it; one of their most important adaptations was the addition of vowels. 1 – Metcalf, Allan. The World in So Many Words. Boston: Houghton Mifflin Company, 1999. On this day in A.D. 79, Pliny the Elder died, a casualty of the eruption of Mount Vesuvius. Based on his thirty-seven volume work called Natural History, Pliny is known as the father of the encyclopedia. On the day of his death in 79 A.D., Pliny was serving as a fleet commander in the Bay of Naples. This was the same day that the eruption of Mount Vesuvius destroyed the cities of Pompeii and Herculaneum. Pliny might have survived; however, he went ashore to assist citizens in need and was overcome by toxic fumes from Vesuvius’ eruption (1). Today we experience an encyclopedia format that has evolved from book form, to compact disk form, to online form. Whatever the form, however, it still is a format that attempts to encircle all that is known from A to Z. One fascinating adaptation made to the encyclopedia was published in 2005 by Amy Krouse Rosenthal in her book Encyclopedia of an Ordinary Life. Departing from the traditional objective tone of general knowledge, Rosenthal adapted the encyclopedia template to reflect subjectively on the topics that have made up her life so far. Part memoir, part autobiography, Rosenthal’s book presents her humorous, wry insights on an array of topics. On “Pie” she says, “There are few gestures kinder than a friend baking you a pie” (2). 2-Rosenthal, Amy Krouse. Encyclopedia of an Ordinary Life. New York: Three Rivers Press, 2005. Today is the anniversary of an editorial by Charles Dudley Warner published in the Hartford Courant in 1897. The subject of the editorial is long forgotten, but one line from the article lives on as a famous quotation: Everybody talks about the weather, but nobody does anything about it. Although many credit Warner with the funny line, some argue that it really should be credited to Mark Twain, who was a friend and collaborator with Charles Dudley Warner. Ralph Keyes, the author of The Quote Verifier, comes down on Twain’s side, saying that the wording of the editorial reveals that Warner got the quote from Twain: “A well-known American writer said once that, while everybody talked about the weather, nobody seemed to do anything about it” (1). Astonish: Being struck by thunder would certainly be an astonishing experience. This word comes to English via the French estoner which in turn was derived from Latin ex = out + tonare = to thunder. Thus the literal translation of astonish is thunderstruck. Lunatic: For centuries people have considered the effects of the moon on the weather and the varying moods of earthlings. Because the moon does affect ocean tides, it does have an indirect impact on the weather. There is less evidence, however, to prove the moon’s relationship to the human psyche. Nevertheless, the word lunatic is derived from Luna the moon goddess, who in myth would sometimes toy with the sanity of mortals (2). What are some songs that talk about the weather, either literally or figuratively? What would you argue is the single best weather-related song? Brainstorm a list of songs that deal with weather, and select your favorite. Make your argument by explaining what makes the song great and by explaining how the lyrics reflect the weather, either literally or figuratively. 1 – Keyes, Ralph. The Quote Verifier: Who Said What, Where, and When. New York: St. Martin’s Griffin, 2006. 2 – Funk, Wilfred. Word Origins and Their Romantic Stories. New York: Grosset & Dunlap, 1950. On this day in 1849, poet, critic, and editor William Ernest Henley was born. Suffering from tuberculosis since he was 12, Henley was frequently hospitalized. In 1875, his leg was amputated due to complications from the disease. 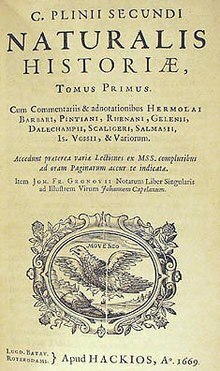 That same year as he recovered from his surgery, he wrote his best-known poem Invictus (Latin for “unconquerable”) (1). The poem’s brilliance revolves around its expression of the indomitable human spirit. Also, the poem’s generalized statements of human anguish –“bludgeonings of chance,” “fell clutch of circumstance” — make it applicable to all manner of human struggles. One example of the poem’s influence comes from the life of Nelson Mandela (1918-2013). While imprisoned in South Africa for 27 years, Mandela frequently recited the poem to buoy the spirits of his fellow prisoners. 1-The Poetry Foundation. William Ernest Henley. http://www.poetryfoundation.org/bio/william-ernest-henley. 2-Henley, William Ernest. Invictus. 1875. Poets.org. Public Domain. https://www.poets.org/poetsorg/poem/invictus.